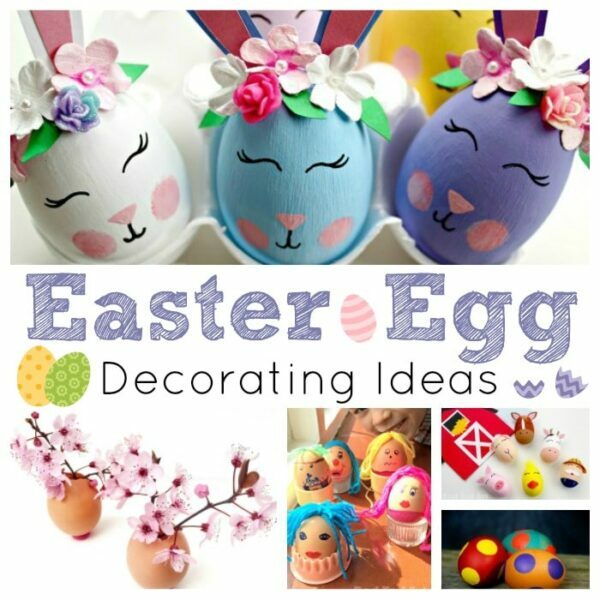 Here is a great Last Minute Easter Egg Decorating idea that the kids will LOVE! It is SO last minute that you can do it at Breakfast at your Easter table… and the results are so fun and pretty: make your very won Hot Crayon Eggs!! A great way to use up any odds and ends of crayons too. 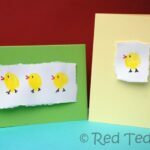 I do love this Easter activity for kids! The process really is so so easy!!! You need to make sure you eggs are freshly boiled and still hot hot hot! 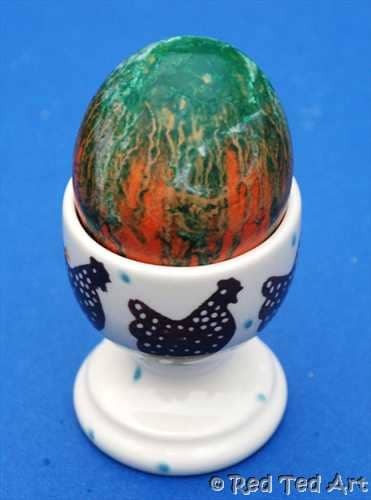 Place them in your egg cups and then take a crayon and gently hold it to your egg.. it will start to melt!! 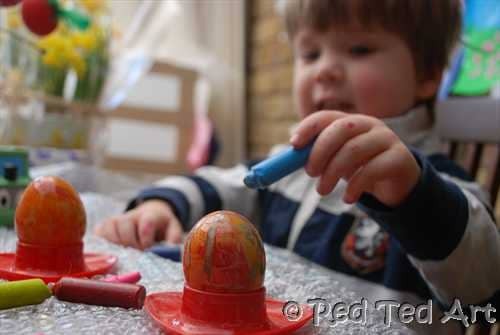 Then take you next colour and hold that to your hot egg too… and watch the colours run and mix. 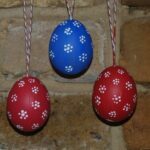 You may be lucky and be able to use a 3rd and and 4th colour.. but remember, you don’t actually need TOO much to create these eggs. 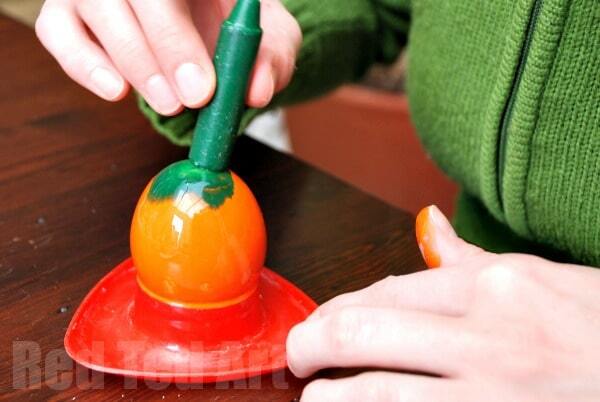 Let cool and you have some pretty AMAZING looking melting crayon eggs!! Great fun from the looks of it! Wow: they look fab. 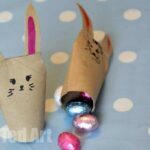 I’ve seen these but need to get the girls to eat eggs first! Ooh Maryanne, that sounds great too.. will come and take a look now! Oooh, I saw this in Family Fun’s last issue and was curious whether it would actually work or not…I can imagine that like you said, it’s better if you let the crayon sit there awhile. 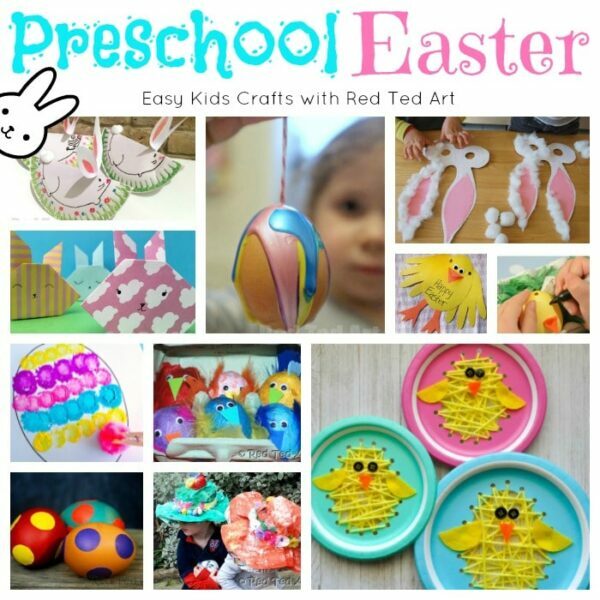 We’re dyeing eggs Thursday…may try a few this way! 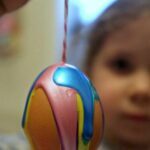 Looks like fun to watch the crayon melt – I’ve heard that Crayola crayons are the way to go. Is that what you found out too? 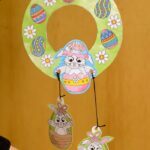 I’m featuring this on my 2 dozen ideas and techniques to dye Easter Eggs today! 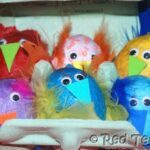 Jamie – thank you for featuring them :-))))) as to the crayon Question. I think ours were all the same (random) make. It was more a “colour” thing. I have noticed that with paints: different colours apply differently – must be a chemical make up thingy! So it is trial an error! What a fabulous idea! I’m going to try this with my boys tomorrow. They look great- better than the ones pictured in Family Fun! 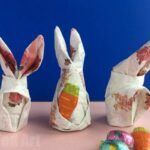 I just did a crayon melting craft but I wish I would have seen this! that’s so cool. I LOVE IT. As we said the other day, such a great idea, and perfect for using up all the broken bits of crayon! Oh I’d forgotten about this! I did it with the biggies years ago, thanks so much for the reminder!! 😀 BRILLIANT! Archiving this one for next year, maybe when the boys can follow directions better. Thanks for linking up to Creative Juice Thursday. Hope to see you back again this week! Cool project! Where did you get the awesome egg holders?